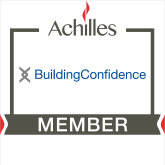 We are a long-established company, with many valued and prominent Clients offering a comprehensive roof maintenance/refurbishment package throughout most of the country, including sheeting, felting, single ply , liquid systems, gutterliners and remedial repairs. All proposals are tailored to suit individual requirements and budget limitations. Inspections are FREE OF CHARGE and carried out by experienced Estimators. 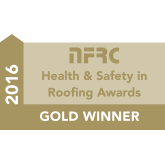 Not only are we members of Constructionline and the National Federation of Roofing Contractors (through which we have proudly achieved annual Gold Safety Awards) but we also hold various accreditations as detailed below.